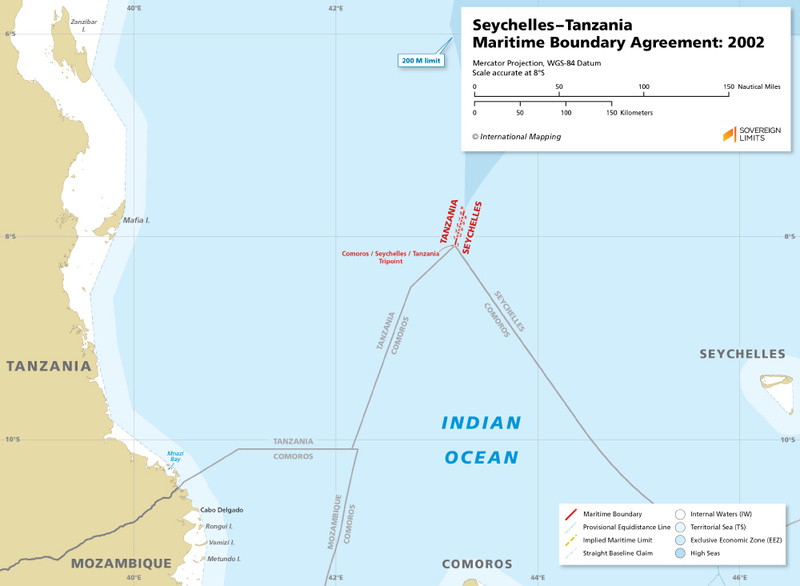 The maritime boundary between Seychelles and Tanzania was established by a 2002 bilateral Agreement, which extends for just 21 M and delimits the opposing EEZ entitlements of the Parties. The boundary runs in a predominately north-south direction and is comprised of 10 short geodesic line segments, which start at (Point T) the tripoint with Comoros, then passes through nine points (numbered 1-9) and terminates on the 200 M limit at Point A. The tripoint with the Comoros was the product of a trilateral agreement that was agreed to in 2012.